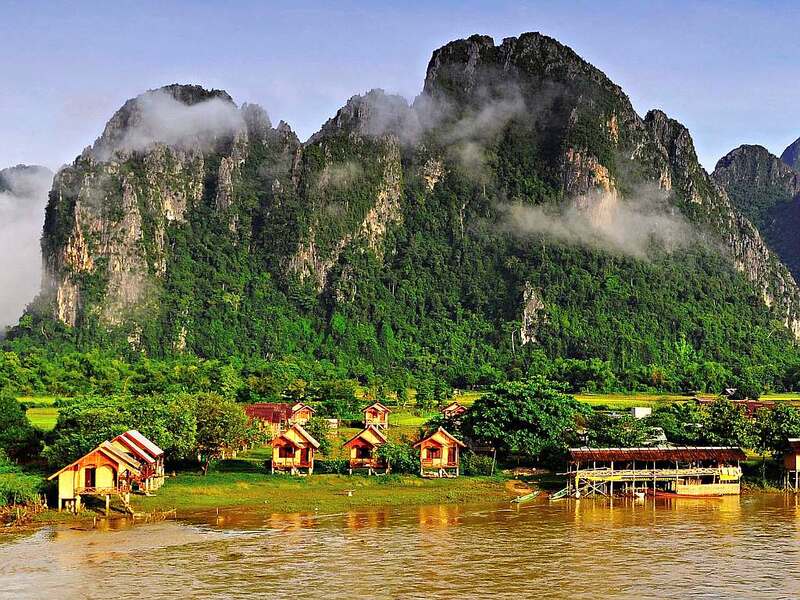 Solo travelers and tourists who joined small group tours will certainly experience a blast from the past and a taste of entire Southeast Asia in a single bite when they sign up for Laos group tours. Officially called the Lao People’s Democratic Republic, Laos measures at 237,955 km² and lies in the heart of the Indochinese peninsula in Mainland Southeast Asia. It is surrounded by Myanmar, China, Vietnam, Cambodia, and Thailand, which explains its vast cultural heritage. Forget about the rest if looking for Asia adventure tours because Laos has everything you desire for a picturesque and daring escapade. For reference, Laos has two distinct seasons – dry season from October to late April and the wet season from May to September. Laos gives tourists a sense of nostalgia, making them feel like they have traveled back in time. While exuding a laid-back vibe, visitors will also have a taste of adventure, cultural traditions, and Lao cuisine. Laos keeps many of the traditions that have long been gone elsewhere in nearby areas, making guests experience an off the path Asia tour. 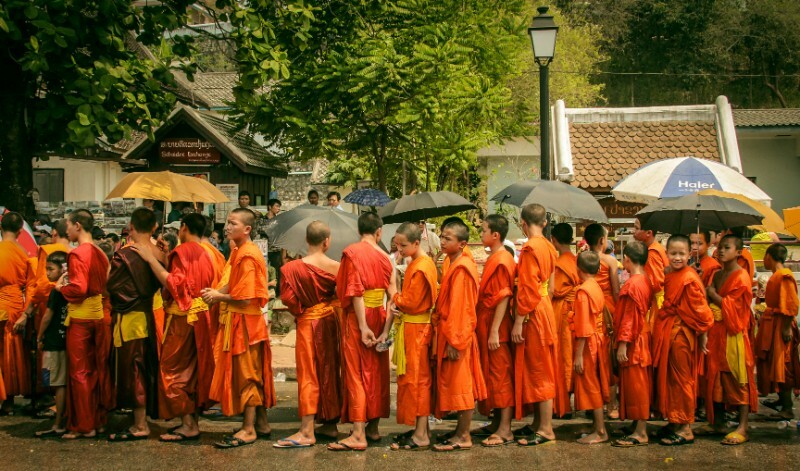 Visitors delight in the sight of hundreds of monks in saffron robes gracing the streets of UNESCO World Heritage Site Luang Prabang for alms. Lao people are also known for their unique and long festivals, with each month of the year featuring a celebration or two that are mostly cultural or agricultural in nature. These include the Elephant Festival in February, Pai Mao Lao (Lao New Year, which is the biggest festival of the year that takes place in three days), and Rocket Festival in May or June (which is a call for rain so they can start the planting season) among others. Some of the must-see places include the Kuang Si Waterfalls located in the Laos jungle near the Tat Kuang Si Bear Rescue Centre, Vang Vieng, a tiny city surrounded by mountains and rivers making it among the most beautiful places in Laos, Backpacker’s Paradise located in Vang Vieng, which gives backpackers a scenic accommodation for the value of their money, Luang Namtha Rice Fields, Nam Ngum Dam in Vientiane, Pak Ou’s Cave along the Mekong River, and the Nong Fa Lake in Attapeu Province. Dubbed as the crossroad of Asia, Laos, is one of the most ethnically-diverse countries in Southeast Asia. Tourists take the time to see the secluded Kahu and Alak communities of southern Laos where the last people with the traditional face tattoos reside, and the Katang villages of central Laos where people respect and worship the spirits of the forest. For exceptional dining experiences, try the Vang Vieng Riverside Bars where tourists can also enjoy water activities like swimming, tubing, and kayaking while enjoying their refreshments on the riverbanks. Take note though that the 9 bars are divided into 3 groups with only 1 bar in each group that opens for specific hours of the day – Upstream opens from 8:00 – 16:00, middle stream from 8:00 – 17:00, and downstream from 8:00 – 18:00. Another favorite eatery is the Craters Restaurant in Phonsavan, where you can feast on Asian and American specialties while being surrounded by old, large bomb fragments. These bombs were the remnants of the over two billion tons of bombs dropped on Laos during the Vietnam War, tagging it as the World’s Most Bombed Country. Amateur and professional photographers delight their senses when visiting Laos because of the country’s numerous unmatched spots. Luang Prabang – One of the most preserved cities in Laos where tourists are taken back in time. Bokeo Nature Reserve – Have an unforgettable Gibbon Experience while taking photos of its magnificent wilderness and animal residents. Pha That Luang – Have a glimpse of history by visiting the pride of Laos – an enormous golden stupa that looks so amazing even from a distance. 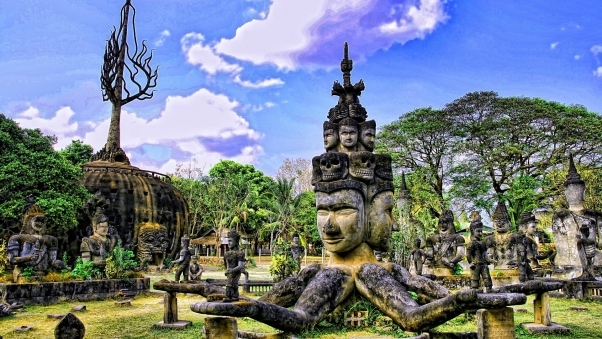 Xieng Khouan Buddha Park – Marvel in a collection of significant Buddhist and Hindu sculptures where tourists can also see the town of Nong Khai, Thailand on the opposite side. Mekong River – Don’t forget to capture the meditating sunset of Mekong. Plain of Jars – Fuel the imagination as you roam around the plain of jars. Joining Laos Group Tours will satisfy one’s craving for serenity and adventure at the same time and with so many places to visit and diverse culture and cuisine to experience, Laos should definitely make it to any tourist’s bucket list.